Paul Byron didn’t need party hats, party favours or a glass of champagne to ring in the New Year. All the Montreal Canadiens forward needed was 11:25 minutes of outdoor ice time, two goals and a win in front of 67,000-plus fans to make the start of 2016 memorable. 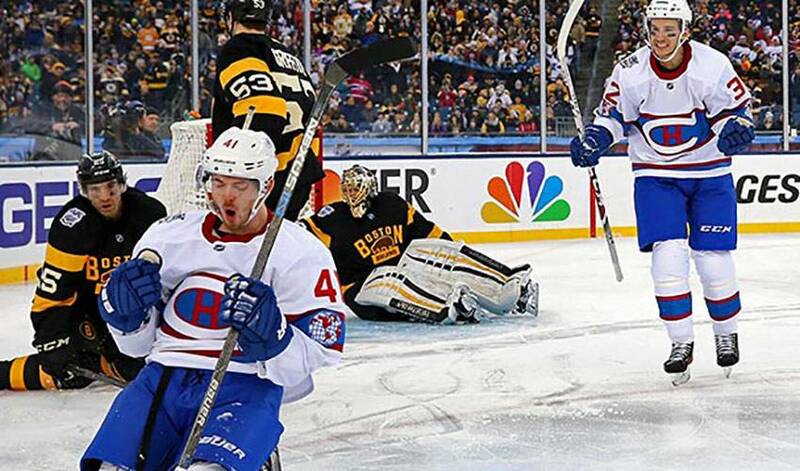 One day removed from the NHL Winter Classic, an authoritative 5-1 Habs win over Original Six rival Boston in the annual outdoor contest, Byron was still in the midst of fielding a flood of texts, phone calls and emails. It’s what happens when you net a pair of goals (on two shots) and play a big role in one of sport’s most unique events. Nabbed by the Habs on waivers in early October, Byron’s tallies gave him seven on the campaign. For the native of Ottawa, Ontario his performance in the New Year’s Day game brought back a number of fond recollections of his pre-NHL days, times when he’d hone his skills outdoors. It was something Byron was reminded of leading up to and after the Canadiens decisive triumph at Gillette Stadium. Byron and his teammates didn’t let the ones wearing bleu, blanc et rouge go home disappointed.